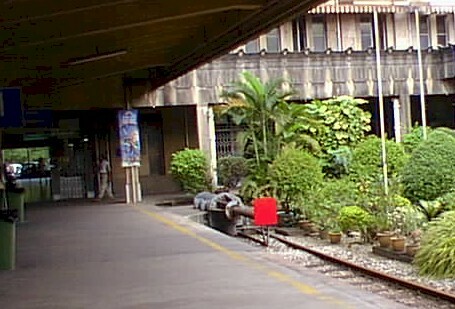 These pictures were taken in the Malaysian Railway station in Singapore in spring 2001. 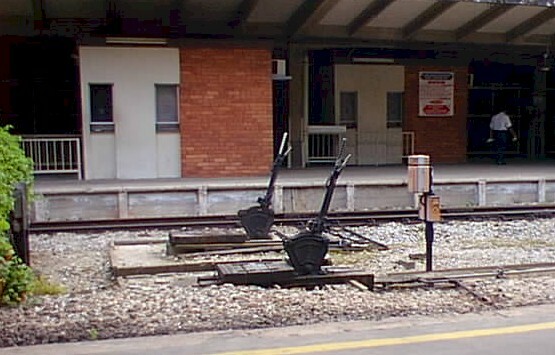 You may also visit Jason's site about KTMB. 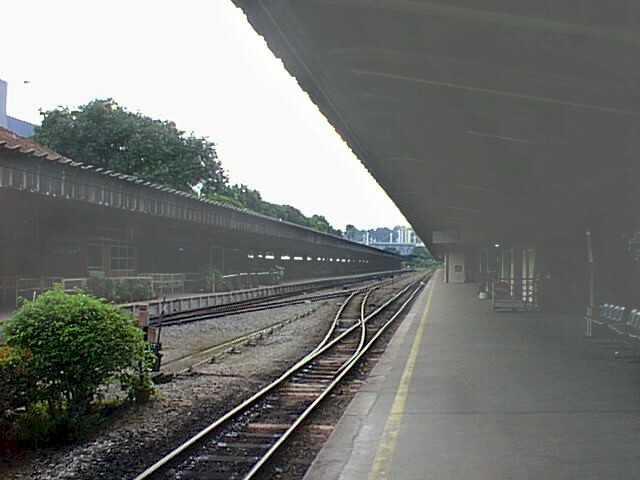 A view along the tracks. 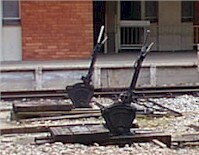 Not visible in the background are two colour-light signals that resemble two-aspect British signals. 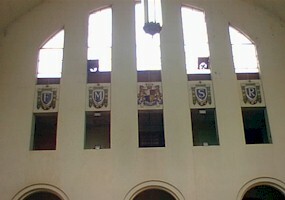 The points in the upper picture are hand-operated by the handles depicted here. A remarkable kind of design for a buffer. 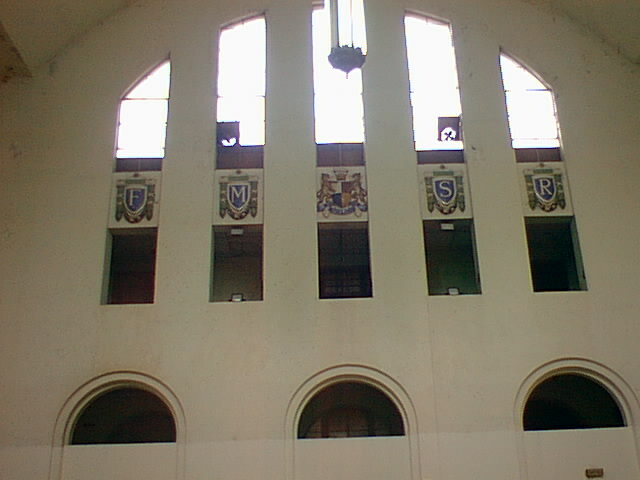 Inside the terminal building the picturesque old logo of KTMB, formerly called Federated Malay States Railway (FMSR). Recently I have read that this building will be torn down in the future.